On May 20, during the presentation of a new book on Pope Emeritus Benedict and his pontificate, his personal secretary, Archbishop Georg Gänswein, delivered an address at the Pontifical Gregorian University in Rome, that raised many questions and concerns among Catholics. Instead of using the occasion to examine the strengths and virtues of Benedict’s pontificate (2005-2013), Archbishop Gänswein — who, in addition to being the personal secretary of the Pope Emeritus is also the Prefect of the Pontifical Household under Pope Francis — took the opportunity to make a highly speculative speech on the nature of the papacy, and the current roles of the two men he serves. Although Gänswein’s speech was thoughtful, clarifying many episodes the secular media has misreported — including the 2005 Conclave that elected Benedict, the leaks that temporarily shook his papacy, and the reasons for his resignation — the speech itself became controversial when Gänswein suggested that Benedict had not really resigned as Pope after all — or at least not in full. It was not immediately clear, even to the most sophisticated Catholic theologians and scholars, what Archbishop Gänswein was trying to say, but his remarks sparked a flurry of commentaries. Many argued that — with all due respect to the archbishop, and notwithstanding his honorable intention to honor Benedict — Gänswein’s idea of an “expanded” Petrine ministry — which both Benedict and Francis exercise at the same time, albeit in different ways — has no basis in Catholic history, teaching or tradition, and is directly contradicted by the words of Pope Emeritus Benedict himself. 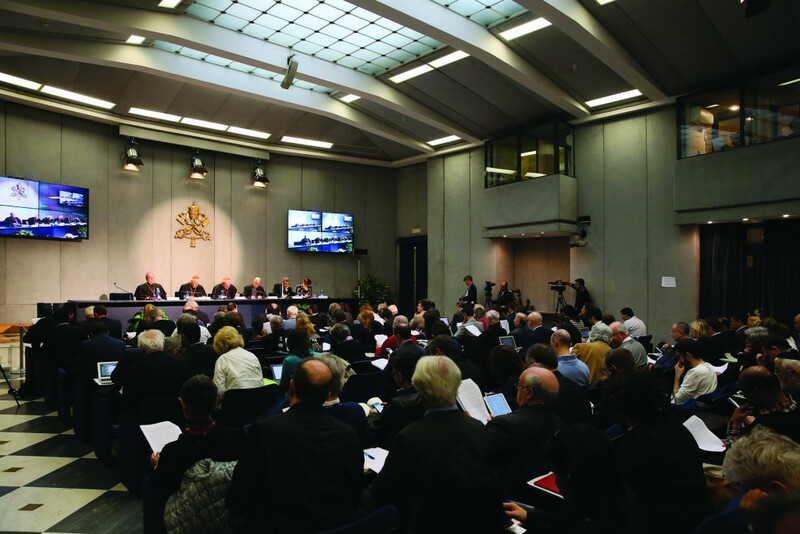 “Dear Brothers, “I have convoked you to this Consistory, not only for the three canonizations, but also to communicate to you a decision of great importance for the life of the Church. After having repeatedly examined my conscience before God, I have come to the certainty that my strengths, due to an advanced age, are no longer suited to an adequate exercise of the Petrine ministry. I am well aware that this ministry, due to its essential spiritual nature, must be carried out not only with words and deeds, but no less with prayer and suffering. However, in today’s world, subject to so many rapid changes and shaken by questions of deep relevance for the life of faith, in order to govern the barque of Saint Peter and proclaim the Gospel, both strength of mind and body are necessary, strength which in the last few months, has deteriorated in me to the extent that I have had to recognize my incapacity to adequately fulfill the ministry entrusted to me. For this reason, and well aware of the seriousness of this act, with full freedom I declare that I renounce the ministry of Bishop of Rome, Successor of Saint Peter, entrusted to me by the Cardinals on 19 April 2005, in such a way, that as from 28 February 2013, at 20:00 hours, the See of Rome, the See of Saint Peter, will be vacant and a Conclave to elect the new Supreme Pontiff will have to be convoked by those whose competence it is. This is the complete, English translation of Benedict’s official resignation letter, which still appears on the Holy See’s website. Note that there is no mention of Benedict retaining — or desiring to retain — any aspect of his Petrine ministry; nor anything about “expanding” or “transforming” the papacy anew, or of sharing the Petrine office with the newly elected pontiff. And let it be emphasized that, since resigning his papal office — entirely and without qualification — Benedict has graciously given way to the Church’s new leader, Pope Francis, pledging his complete obedience to him, and never said one word about regretting or rethinking his decision to resign, much less sanctioned the kind of novel views about the papacy expressed by Archbishop Gänswein. In trying to explain the archbishop’s remarks, some have speculated that Gänswein would not have made his remarks had they not been cleared by Pope Emeritus Benedict first — but no one has produced any proof of that idea — and even Archbishop Gänswein himself didn’t claim to be speaking for Benedict on this issue, or that the Pope agreed with him. So, unless or until irrefutable proof emerges to establish the opposite, that theory will remain unconvincing. Furthermore, Pope Emeritus Benedict is perfectly free to speak out about the matter, as he recently did when he publicly repudiated conspiracy stories claiming that he had participated in the suppression of part of the Third Secret of Fatima. But Benedict has said nothing whatsoever to support Gänswein’s thesis about an “expanded” Petrine ministry which he (Benedict) is still supposedly involved in. On an equally serious level, if it could ever be shown that Benedict, in retirement, authorized Gänswein to claim there is now an “expanded” Petrine ministry which Benedict is still active in, not only would Benedict be reneging on what he declared in his own resignation letter, but he would also be undermining Francis’ authority, which Benedict has already pledged to respect. Few people who believe in Joseph Ratzinger’s orthodoxy and love for the Church find it conceivable that he would ever stoop to that level: it would seem it would mark the collapse and disintegration of a brilliant theological and ecclesiastical career. Which still leaves the question of why Archbishop Gänswein would give a speech so open to misinterpretation. 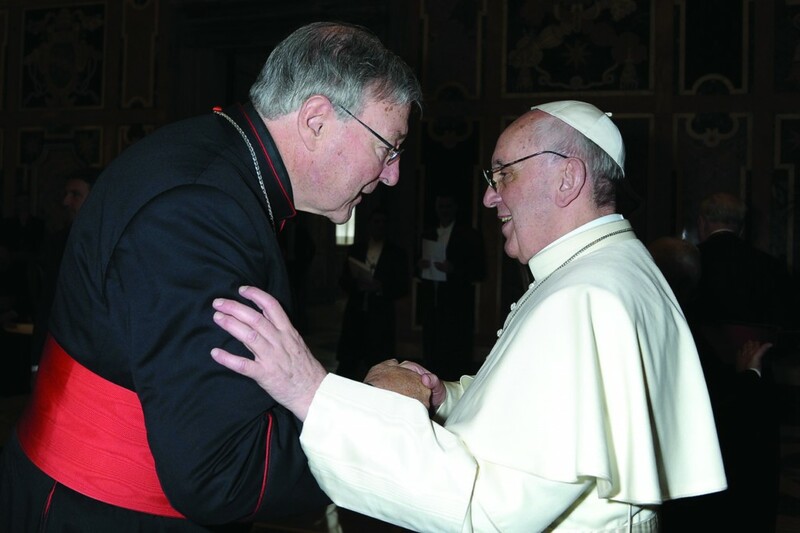 One possibility is that Gänswein has never really come to terms with the full reality of Benedict’s resignation as Pope, and now seeks to rewrite and reinterpret his resignation for posterity, with novel ideas about the papacy. This would seem to be a well-intentioned but misguided venture which would need to be stopped, reversed and corrected as soon as possible. For the unforeseen consequences of the speech are already manifesting themselves, and to the detriment of the Church. Shortly after Archbishop Gänswein’s presentation, many commentaries appeared, raising long-settled questions about Benedict’s resignation, and reviving discredited conspiracy theories about whether Francis is really our Pope, or sole Pope, and/or whether Francis and Benedict have some kind of “co-papacy” — or “papal diarchy” — running in Rome. The answer, of course, is an emphatic NO, but that hasn’t stopped people from saying and writing irresponsible things. So both the Catholic Left and Right were equally disturbed by Gänswein’s remarks. 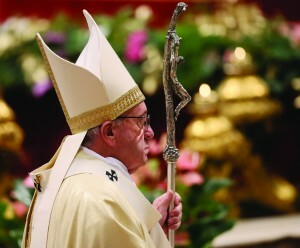 Besides adding to the scandal of Catholics not knowing who our real Pope is (its Francis, in case anyone is wondering), or thinking there are two Popes at the same time, the irony of the archbishop’s speech is that nether the papacy nor Benedict’s pontificate needs to be artificially enhanced by anyone, or for any purpose. Vatican Councils I and II made clear that the Church is ruled by one, and only one Pope — at a time — and also gave the papacy all the “expanded” powers it needs, including the charism of infallibility, under clearly defined circumstances. There is one Pope, and one Petrine Ministry — end of story. As for Benedict XVI’s resignation, it was an act of great humility — and can be praised on that basis alone — but it should not be romanticized or reinterpreted into something it clearly wasn’t. Joseph Ratzinger — one of the most illustrious theologians, Prefects of the Congregation for the Doctrine of the Faith, and Popes the Church has ever had — does not need his resume to be enhanced, with some far-fetched notion of “transforming” the papacy, because of his (straightforward and clear-cut) resignation. And Pope Francis deserves far more respect than to have Catholics — especially prominent ones — implying he does not have total control of the papacy, and is being haunted by a shadow Pope. In a time of considerable confusion, Archbishop Gänswein delivered a surprisingly unclear speech. For the good of the Church, it would have been better had he explained his points more fully, or not given the speech at all. Eminences, Excellencies, dear Brothers, Ladies and Gentlemen! During one of the last conversations that the Pope’s biographer, Peter Seewald of Munich, was able to have with Benedict XVI, as he was bidding him goodbye, he asked him: “Are you the end of the old or the beginning of the new?” The Pope’s answer was brief and sure: “The one and the other,” he replied. The recorder was already turned off; that is why this final exchange is not found in any of the book-interviews with Peter Seewald, not even the famous Light of the World. It only appeared in an interview he granted to Corriere della Sera in the wake of Benedict XVI’s resignation, in which the biographer recalled those key words which are, in a certain way, a maxim of the book by Roberto Regoli, which we are presenting here today at the Gregorian. As in the time of Peter, also today the one, holy, catholic and apostolic Church continues to have one legitimate Pope. But today we live with two living successors of Peter among us — who are not in a competitive relationship between themselves, and yet both have an extraordinary presence! We may add that the spirit of Joseph Ratzinger had already marked decisively the long pontificate of St. John Paul II, whom he faithfully served for almost a quarter of a century as Prefect of the Congregation for the Doctrine of the Faith. Many people even today continue to see this new situation as a kind of exceptional (not regular) state of the divinely instituted office of Peter (eine Art göttlichen Ausnahmezustandes). But is it already time to assess the pontificate of Benedict XVI? Generally, in the history of the Church, popes can correctly be judged and classified only ex post. And as proof of this, Regoli himself mentions the case of Gregory VII, the great reforming pope of the Middle Ages, who at the end of his life died in exile in Salerno — a failure in the opinion of many of his contemporaries. And yet Gregory VII was the very one who, amid the controversies of his time, decisively shaped the face of the Church for the generations that followed. Much more daring, therefore, does Professor Regoli seem today in already attempting to take stock of the pontificate of Benedict XVI, while he is still alive. The amount of critical material which he reviewed and analyzed to this end is massive and impressive. Indeed, Benedict XVI is and remains extraordinarily present also through his writings: both those produced as pope — the three volumes on Jesus of Nazareth and 16 (!) volumes of Teachings he gave us during his papacy — and as Professor Ratzinger or Cardinal Ratzinger, whose works could fill a small library. And so, Regoli’s work is not lacking in footnotes, which are as numerous as the memories they awaken in me. For I was present when Benedict XVI, at the end of his mandate, removed the Fisherman’s ring, as is customary after the death of a pope, even though in this case he was still alive! I was present when, on the other hand, he decided not to give up the name he had chosen, as Pope Celestine V had done when, on December 13, 1294, a few months after the start of his ministry, be again became Pietro dal Morrone. Today we read this part of Regoli’s intelligent analysis almost like a breathtaking detective novel of not so long ago; whereas the “dictatorship of relativism” has for a long time sweepingly expressed itself through the many channels of the new means of communication which, in 2005, barely could be imagined. The name that the new pope took immediately after his election therefore already represented a plan. Joseph Ratzinger did not become Pope John Paul III, as perhaps many would have wished. Instead, he went back to Benedict XV — the unheeded and unlucky great pope of peace of the terrible years of the First World War — and to St. Benedict of Norcia, patriarch of monasticism and patron of Europe. I could appear as a star witness to testify that, over the previous years, Cardinal Ratzinger never pushed to rise to the highest office of the Catholic Church. Instead, he was already dreaming of a condition that would have allowed him to write several last books in peace and tranquility. Everyone knows that things went differently. During the election, then, in the Sistine Chapel, I was a witness that he saw the election as a “true shock” and was “upset,” and that he felt “dizzy” as soon as he realized that “the axe” of the election would fall on him. I am not revealing any secrets here, because it was Benedict XVI himself who confessed all of this publicly on the occasion of the first audience granted to pilgrims who had come from Germany. And so it isn’t surprising that it was Benedict XVI who immediately after his election invited the faithful to pray for him, as this book again reminds us. Regoli maps out the various years of ministry in a fascinating and moving way, recalling the skill and confidence with which Benedict XVI exercised his mandate. And what emerged from the time when, just a few months after his election, he invited for a private conversation both his old, fierce antagonist Hans Küng as well as Oriana Fallaci, the agnostic and combative grande dame of Jewish origin, from the Italian secular mass media; or when he appointed Werner Arber, the Swiss Evangelical and Nobel Prize winner, as the first non-Catholic President of the Pontifical Academy of Social Sciences. Regoli does not cover up the accusation of an insufficient knowledge of men that was often leveled against the brilliant theologian in the shoes of the Fisherman; a man capable of truly brilliantly evaluating texts and difficult books, and who nevertheless, in 2010, frankly confided to Peter Seewald how difficult he found decisions about people because “no one can read another man’s heart.” How true it is! Regoli rightly calls 2010 a “black year” for the pope, precisely in relation to the tragic and fatal accident that befell Manuela Camagni, one of the four Memores Domini belonging to the small “papal family.” I can certainly confirm it. In comparison with this misfortune the media sensationalism of those years — from the case of traditionalist bishop, Williamson, to a series of increasingly malicious attacks against the pope — while having a certain effect, did not strike the pope’s heart as much as the death of Manuela, who was torn so suddenly from our midst. Benedict was not an “actor pope,” and even less an insensitive “automaton pope”; even on the throne of Peter he was and he remained a man; or, as Conrad Ferdinand Meyer would say, he was not a “clever book,” he was “a man with his contradictions.” That is how I myself have daily been able to come to know and appreciate him. And so he has remained until today. Regoli observes, however, that after the last encyclical, Caritas in veritate of December 4, 2009, a dynamic, innovative papacy with a strong drive from a liturgical, ecumenical and canonical perspective, suddenly appeared to have “slowed down,” been blocked, and bogged down. Although it is true that the headwinds increased in the years that followed, I cannot confirm this judgment. Benedict’s travels to the UK (2010), to Germany and to Erfurt, the city of Luther (2011), or to the heated Middle East — to concerned Christians in Lebanon (2012) — have all been ecumenical milestones in recent years. His decisive handling to solve the issue of abuse was and remains a decisive indication on how to proceed. 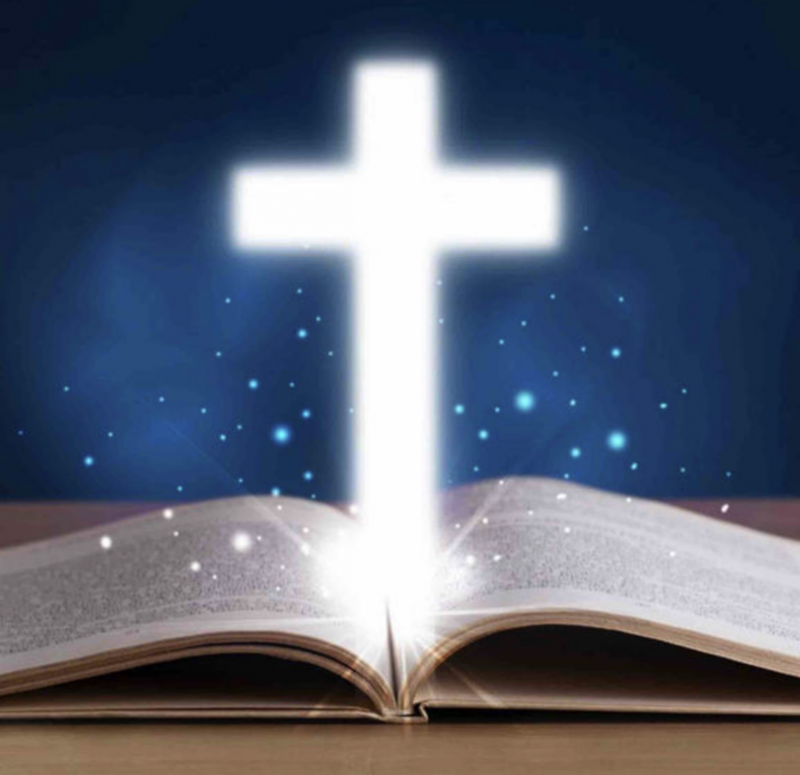 And when, before him, has there ever been a pope who — along with his onerous task — has also written books on Jesus of Nazareth, which perhaps will also be regarded as his most important legacy? It isn’t necessary here that I dwell on how he, who was so struck by the sudden death of Manuela Camagni, later also suffered the betrayal of Paolo Gabriele, who was also a member of the same “papal family.” And yet it is good for me to say at long last, with all clarity, that Benedict, in the end, did not step down because of a poor and misguided chamber assistant, or because of the “tidbits” coming from his apartment which, in the so-called “Vatileaks affair,” circulated like fool’s gold in Rome but were traded in the rest of the world like authentic gold bullion. No traitor or “raven” [the Italian press’s nickname for the Vatileaks source] or any journalist would have been able to push him to that decision. That scandal was too small for such a thing, and so much greater was the well-considered step of millennial historical significance that Benedict XVI made. Since the election of his successor Francis, on March 13, 2013, there are not therefore two popes, but de facto an expanded ministry — with an active member and a contemplative member. This is why Benedict XVI has not given up either his name, or the white cassock. This is why the correct name by which to address him even today is “Your Holiness”; and this is also why he has not retired to a secluded monastery, but within the Vatican — as if he had only taken a step to the side to make room for his successor and a new stage in the history of the papacy which he, by that step, enriched with the “power station” of his prayer and his compassion located in the Vatican Gardens. 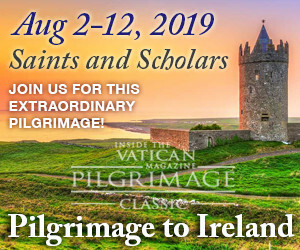 It was “the least expected step in contemporary Catholicism,” Regoli writes, and yet a possibility which Cardinal Ratzinger had already pondered publicly on August 10, 1978 in Munich, in a homily on the occasion of the death of Paul VI. Thirty-five years later, he has not abandoned the Office of Peter — something which would have been entirely impossible for him after his irrevocable acceptance of the office in April 2005. By an act of extraordinary courage, he has instead renewed this office (even against the opinion of well-meaning and undoubtedly competent advisers), and with a final effort he has strengthened it (as I hope). Of course only history will prove this. But in the history of the Church it shall remain true that, in the year 2013, the famous theologian on the throne of Peter became history’s first “pope emeritus.” Since then, his role — allow me to repeat it once again — is entirely different from that, for example, of the holy Pope Celestine V, who after his resignation in 1294 would have liked to return to being a hermit, becoming instead a prisoner of his successor, Boniface VIII (to whom today in the Church we owe the establishment of jubilee years). 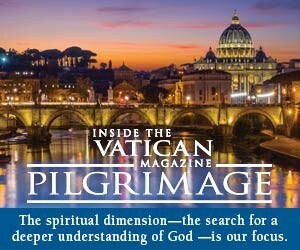 To date, in fact, there has never been a step like that taken by Benedict XVI. So it is not surprising that it has been seen by some as revolutionary, or to the contrary as entirely consistent with the Gospel; while still others see the papacy in this way secularized as never before, and thus more collegial and functional or even simply more human and less sacred. And still others are of the opinion that Benedict XVI, with this step, has almost — speaking in theological and historical-critical terms — demythologized the papacy. I must admit that, rereading these words can still bring tears to my eyes, all the more so because I saw in person and up close how unconditional, for himself and for his ministry, was Pope Benedict’s adherence to St Benedict’s words, for whom “nothing is to be placed before the love of Christ,” nihil amori Christi praeponere, as stated in rule handed down to us by Pope Gregory the Great. I was a witness to this, but I still remain fascinated by the accuracy of that final analysis in St. Peter’s Square which sounded so poetic but was nothing less than prophetic. In fact, they are words to which today, too, Pope Francis would immediately and certainly subscribe. Not to the popes but to Christ, to the Lord Himself and to no one else belongs the barque of Peter, whipped by the waves of the stormy sea, when time and again we fear that the Lord is asleep and that our needs are not important to him, while just one word is enough for him to stop every storm; when instead, more than the high waves and the howling wind, it is our disbelief, our little faith and our impatience that make us continually fall into panic. Thus, this book once again throws a consoling gaze on the peaceful imperturbability and serenity of Benedict XVI, at the helm of the barque of Peter in the dramatic years 2005-2013. At the same time, however, through this illuminating account, Regoli himself now also takes part in the munus Petri of which I spoke. Like Peter Seewald and others before him, Roberto Regoli — as a priest, professor and scholar — also thus enters into that enlarged Petrine ministry around the successors of the Apostle Peter; and for this today we offer him heartfelt thanks.